NASA/JPL-CaltechAn illustration of NASA’s Juno spacecraft flying through the radiation belts of Jupiter. Juno, NASA’s probe at Jupiter, has orbited the giant planet for nearly two years. The $US1 billion mission was scheduled to end with a crash into Jupiter‘s clouds after July 2018. However, NASA sources have confirmed that the mission will be extended through July 2021. For the past two years, NASA’s Juno probe has studied planet Jupiter like no spacecraft before it. The $US1 billion mission has peeled back the giant planet’s thick cloud layers, searched for an elusive core, and returned dazzling images of colossal storms and chaotic cloud bands. But all good things must come to an end, and Juno is no exception. NASA planned to destroy the tennis-court-size robot by plunging it into Jupiter’s clouds sometime after July 2018. The rationale is similar to the Cassini probe’s recent demise: Jupiter’s icy moon Europa may be habitable to alien life, so carefully and deliberately ending the mission would prevent Juno from accidentally crashing into that moon. This would keep Europa’s ocean – which may have twice as much water as exists on Earth – from getting contaminated by any earthly microbes stuck to Juno. However, the probe’s fiery end is now pushed back by at least three years to July 2021, according to NASA sources. Scientific work on the mission will continue through September 2022. 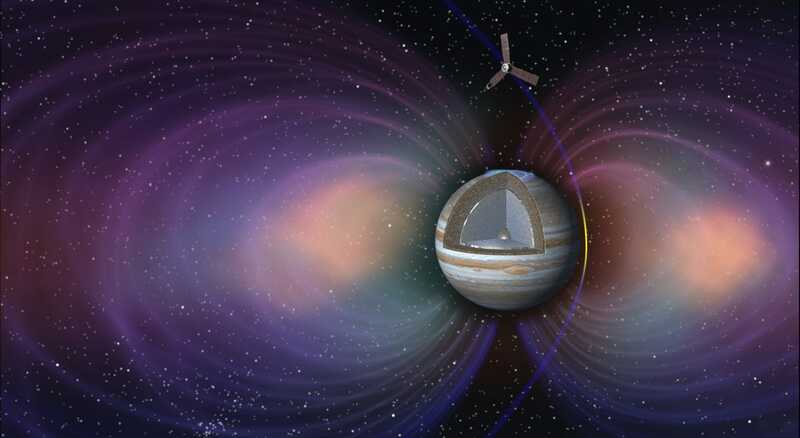 The extension is critical to one of Juno’s primary objectives. 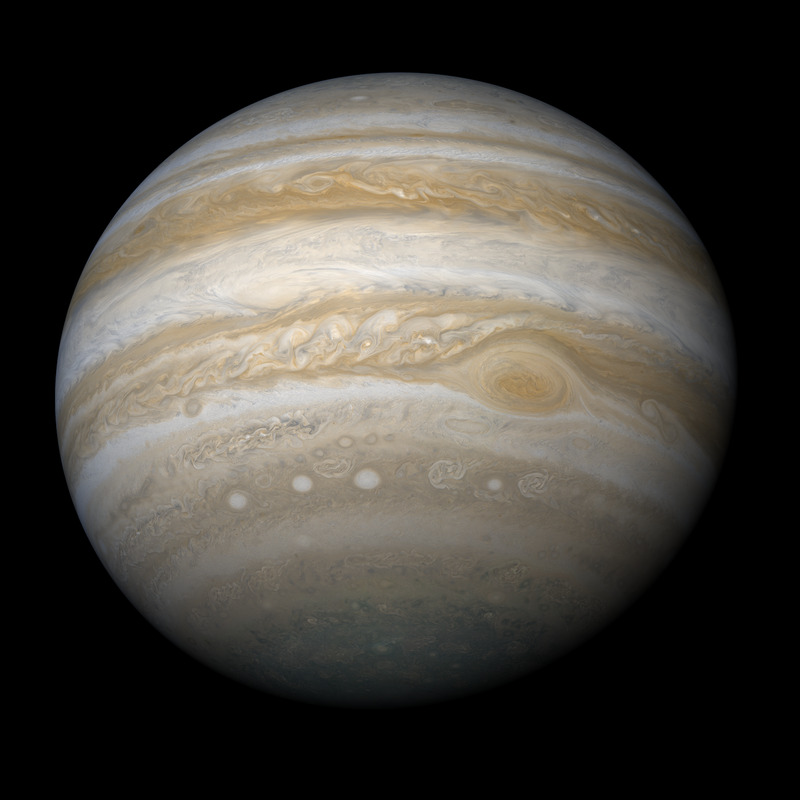 The probe has been mapping Jupiter as it orbits the gas giant with infrequent close passes called perijoves. Juno builds this map slice-by-slice using a suite of different instruments, including ones that record data about Jupiter’s gravitational field. But due to lingering trouble with Juno’s propulsion system, by next month the team will have completed only 14 of the 32 perijoves that it needs to finish mapping Jupiter. 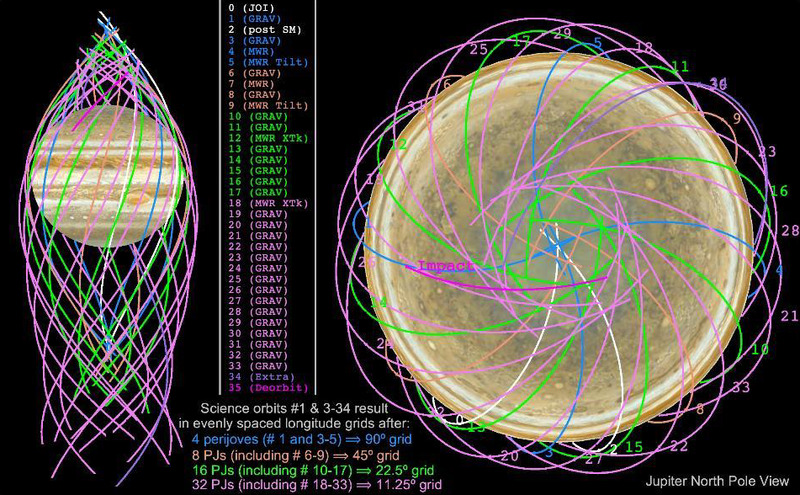 Scott Bolton/Southwest Research InstituteA diagram of Jupiter’s orbits. Spending too much time in Jupiter’s powerful radiation field can damage sensitive electronics. As a result, Juno orbits the planet on a highly elliptical path that keeps the probe mostly out of harm’s way, yet regularly zooms it over the cloud tops for detailed observations. When Juno arrived in July 2016, mission managers had the spacecraft orbit Jupiter once every 53.5 days. In October 2016, they planned to fire up the probe’s engines and speed Juno’s orbits to once every 14 days – until the team discovered some sticky valves in the engine’s plumbing. NASA ultimately decided to play it safe and not risk using the engines, delaying Juno’s mapping pace nearly four-fold. Björn JónssonA map of Jupiter made by merging partial Juno and Cassini spacecraft imaging data. The Juno mission leaders received a memo authorizing the extension in mid-May, but NASA has not yet publicly announced its decision. One representative told Business Insider that the agency hasn’t “put anything out yet about that” when asked about the extension. Extending Juno’s flight will help the probe finish mapping Jupiter – a project that primarily focuses on the planet’s gravitational field. That data may reveal what is going on deep inside the giant yet mysterious world. “It is very exciting for us to be able to complete the mission pretty much as it was originally proposed, except with longer orbits,” Frederic Allegrini, a staff scientist at Southwest Research Institute who works on the Juno mission, told Business Insider. This story has been updated. It was originally published at 2:12 p.m. ET on June 4, 2018.